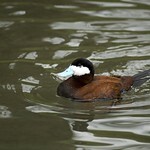 The ruddy duck is a sexually dimorphic species, meaning males and females differ in appearance. 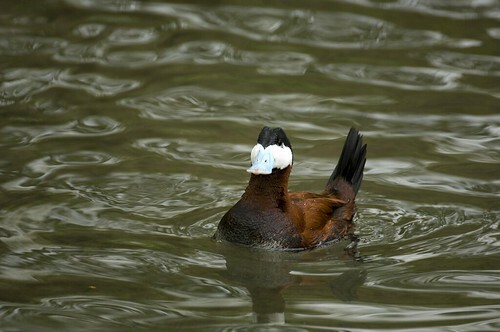 During breeding season, the male displays a bright blue beak and reddish-brown plumage. 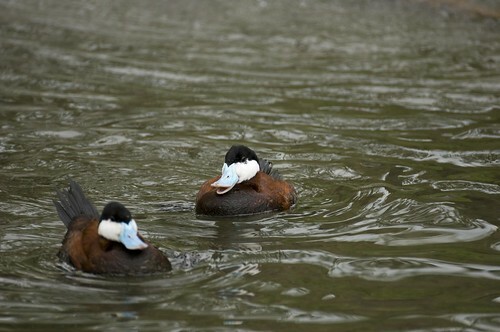 After breeding is over, males shifts to the grayish-white feathers displayed by the female, although they can still be distinguished by their white cheeks and dull blue bill. 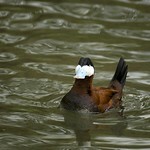 The ruddy duck can be found from Canada through the western United States to Mexico and the Caribbean. The species inhabits lakes, ponds and marshes. 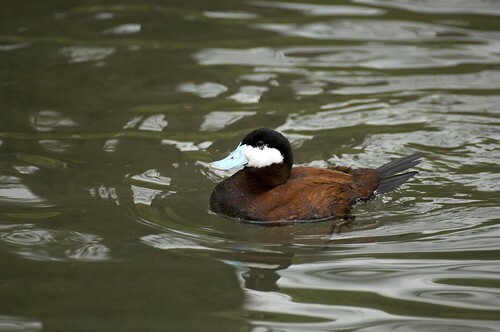 The ruddy duck primarily feeds on pond vegetation, but it will also occasionally eat insects and small fish. The bird locates food by diving underwater. The female builds her nest out of grass, locating it in tall vegetation to hide it from predators. A typical group of young ranges from 5-15 ducklings. 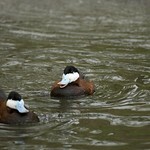 Like all ducks, the ruddy duck's feet are thin and flat, making it easier for them to paddle through the water.